The French actress and singer talks to Bazaar about music, London and her father’s influence. MY FIRST TOUR WAS TERRIFYING….but I really wanted to try. I’m not someone who can easily perform in front of a lot of people; it’s a hard thing to do if you’re shy, but I wanted to push myself and find the pleasure in it. Now that I’m at the end of my second tour I can say it was worth it. I WANTED TO PERFORM IN LONDON… even though, technically, I have finished my tour a fortnight ago. I didn’t know much about British venues though, then my tour manager told me about Somerset House and how it was a special space to play in summer. When I heard that Air had performed there before it became all the more tempting. I’M NERVOUS OF LONDONERS… I feel wary of playing in big cities because the crowd seem more difficult, despite being proved wrong in Paris as that concert has been one of my highlights this tour. Sometimes you can feel like you’ve done a good job but the audience isn’t really into it or they are being polite – you can’t tell the difference though when you’re onstage between a polite audience and a bored one! I like a crowd that can get excited. MY LATEST ALBUM IS MUCH MORE FUN… I put a lot of myself into the first two and it was a very heavy process. Stage Whisper is lighter and more spontaneous because it’s an album of live tracks working with people I really like – I just chose the live versions I was most proud of…or least ashamed of! Because I’d really pushed myself to tour, I wanted to package that voyage from Europe to America to Japan; that’s why the imagery that comes with it is as important as the sound, it’s about the whole experience. It’s not historical though, I wanted to include new songs too to bring the past into the present. I DON’T LIKE WORKING ALONE… I feel completely lost writing lyrics without anyone else to sound ideas off and I have no pleasure imagining an album on my own. It’s because I admire Air, Beck, Jarvis Cocker and Connan Mockasin that I asked if they’d work with me. My music is about my voice and I enjoy seeing how other artists interpret that. I like pinching ideas and moving them forward, even if those ideas originated from Beck or Connan, in the end they are mine. I put myself into their style and it produces something new. I THOUGHT I WOULD NEVER BE ABLE TO SING MY FATHER’S SONGS… after he died. 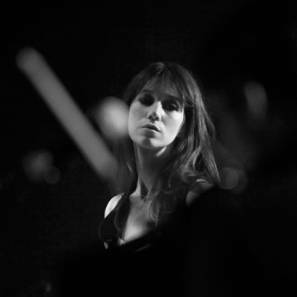 We recorded an album together when I was 16 [Charlotte For Ever, produced by Serge Gainsbourg] but the lyrics were written about me by my father, he didn’t ask me what I wanted to talk about, so it’s very much about who he thought I was at that time. I thought I would never have any pleasure singing his music without him, especially when it is so rooted in the past, so it’s taken me a very, very long time to realise that I could go back there – 20 years in fact. Now, because Connan Mockasin was so excited to, he encouraged me to revisit. He was just my father to me, thank god. I didn’t realise the talent and the genius and now that’s what makes me so self-conscious and why I sing in English. I don’t ever want to feel like I’m using a word he has already used. I’d love to write in French but I am paralysed by his lyrics. They are too brilliant and I can’t get close to that, but I hope one day I’ll feel less precious – it’s only myself that is judging after all. 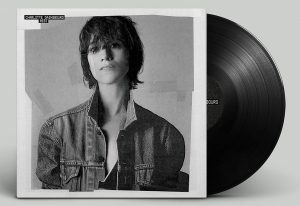 Charlotte Gainsbourg plays at Somerset House on 19th July.